For a more durable alternative to traditional gutters, consider seamless gutters by 31-W Insulation. As the home improvement company that Cincinnati, Ohio, residents have relied on for decades for first-rate products and exceptional customer service, we proudly offer seamless gutter systems by Spectra Metals, a trusted name in the industry. Because these gutters are made of sturdy aluminum alloy coil for superior longevity, you can be confident they will provide you with years of service. When you call on us to install your seamless gutters, our factory-trained technicians will cut them onsite to the precise measurements of your roof to ensure a tight, custom fit. 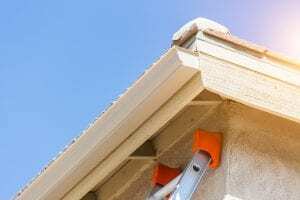 Unlike conventional gutters that have seams or splices, these gutters will give your roof’s edges a sleek, unblemished look that will enhance the beauty of your Cincinnati, OH, home. Plus, a lack of seams means that leaves and other debris are much less likely to get trapped in your gutter, which can lead to clogging. You can be assured of receiving the top-level workmanship standards for which we are known because only our factory-trained employees, not subcontractors, will perform your installation. The chances of your gutters leaking are significantly reduced due to a lack of seams, which can pull apart over time. Our seamless gutters are available in more than 20 attractive colors to give you a variety of options for more curb appeal. In addition, the 20-year limited manufacturer warranties on these gutters will boost your confidence in your purchase. When you’re ready for flawless installation of seamless gutters on your Cincinnati, OH, home, contact 31-W Insulation. Our friendly team is ready to fulfill your home improvement dreams.